Welcome to the 2017 Cymatics Conference! On this unforgettable evening you will join three collaborators as they share their respective disciplines, vision and talent through Cymatics—The Art and Science of Sound. Mandara Cromwell is an American entrepreneur, inventor and visionary. 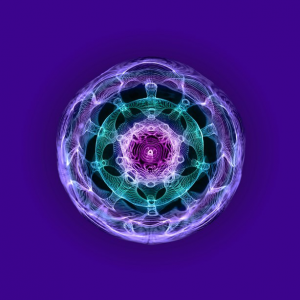 She founded the International Sound Therapy Association and created her own manufacturing company, Cymatics Technologies, for producing the AMI—Acoustic Meridian Intelligence devices, she invented. James Oliverio is internationally known as an interactive media composer, producer, and educator. He has served as founding Executive Director of the Digital Worlds Institute at the University of Florida, with full professorships in Digital Arts & Sciences and in Music. John Stuart Reid is an English acoustic-physics researcher and inventor of the CymaScope, an instrument that makes sound visible. He also invented the CymaScope app for Apple and Android devices. He was awarded the honor of “Best Acoustics Research Company and Most Advanced Acoustic Imaging Device” in 2017.